FREE Cut & Style at Aru. Hair donated to Children’s Hospital! Thinking of cutting your hair short? Why not do it for a good cause…? If you have long hair and are thinking of going short, we will provide a FREE Cut & Style! The hair will be donated to BC Children’s Hospital and used to make kids wigs. 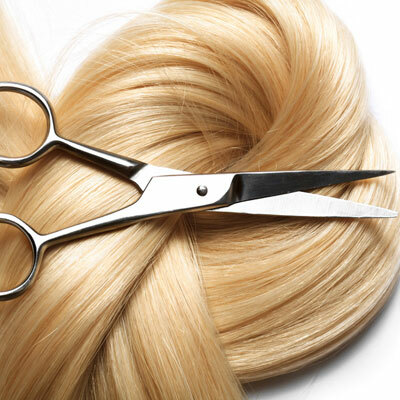 To qualify the hair that is cut off must be at least 8 inches long and be virgin, meaning it has not been coloured. To do our part, we will provide your Cut & Style absolutely free! This generous Aru Client had her long hair cut and donated to Children’s Hospital. Aru Spa and Salon provided a free Cut & Style for her. Aru’s professional hair stylist “Neide”, donated her time to give this client a traditional Bob Hairstyle, which she absolutely loved! Japanese Straightening by Neide, Surrey BC. Here is a beautiful example of our permanent Japanese Straightening service. This is a permanent service using a revolutionary new technique from Japan. Turn curly, frizzy and unmanageable hair into gorgeous, straight hair, while maintaining the integrity and health of your hair. See these before and after shots! This service is absolutely amazing & long lasting! We also provide temporary straightening and smoothing services. Aru Spa and Salon is located in South Surrey BC, close to White Rock. Please see our contact page for directions to our Spa and Hair Salon. Come in for a free consultation to see if Japanese Straightening is right for you. Clients who have received this hair service from Aru Spa and Salon in the past have all loved the end result. This is a permanent service so we really encourage that you call us to book your free consultation to discuss your expectations with our professional stylists. Our stylists will then be able to asses if this service is right for you and provide you with a quotation at the same time. Consultations for Japanese Straightening take 15 minutes and are done free of charge. Just call us at (604) 536-0788 and our Concierge will schedule a time for you to come in. Japanese Straightening can take the most unruly and frizzy hair and turn it straight, smooth and shiny. If you have a hard time controlling your hair due to frizz or curls, then this hair service is for you! This service is also great for those with a gentle wave in their hair that are looking for that silky smooth look. Straight hair is all the rage right now. Look no closer than your favourite celebrity magazine and you will see plenty of beautiful straight locks. We love Japanese Straightening and we are confident that you will too! Sunday June 15th is Father’s Day. The first day of Summer is just a couple weeks away, which means Father’s Day is right around the corner! This year remember to take care of Dad with a relaxing Massage or Aru Spa Gift Card, because he deserves it too! Voted best Massage in Surrey for 5 years! See a full list of our Massages. See a full list of our luxurious hydrating and anti-aging facials. Looking for a new style or new colour? Visit a Professional Aru Stylist. Father’s Day Gift Certificates Available Now! 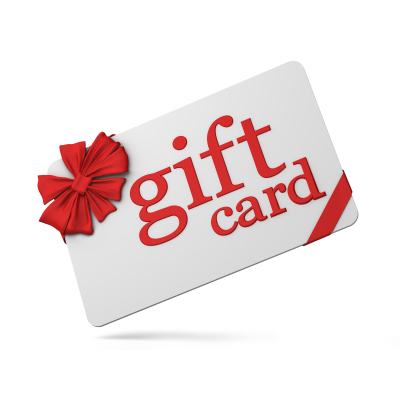 Aru Gift Cards Make a Great Father’s Day Gift! Give Dad the greatest gift and one that he surely needs… a little time to relax and unwind with an Aru Spa and Salon Gift Card! Let him choose from a variety of our Massage services, relax in our steam room and more! Get an OPI GelColor Upgrade for FREE! With Summer around the corner it’s time to give your nails some extra care and attention! When you book our Signature Manicure and Pedicure Package we will give you an OPI GelColor upgrade for either your toes or your feet for FREE!! OPI GelColor lasts substantially longer than regular polish. Just decide… toes or hands! *This offer is valid until June 30, 2014. *Must mention this promotion at time of booking. HAIR – Book a colour service and receive brow tinting, free! Getting your hair coloured? Don’t forget about your brows! In the month of June, when you book any hair colour service at Aru, we will include a brow tinting upgrade for free! Go short for a cause and get a Free Cut & Style! Thinking of going short for the Summer? Why not do it for a good cause…? If you have long hair and are thinking of going short, we will provide the Cut & Style for FREE! The hair will be donated to BC Children’s Hospital and used to make kids wigs. To qualify the hair that is cut off must be at least 8 inches long and be virgin, meaning it has not been coloured. When you Buy any 2 Kerastase Age Premium or Age Recharge products we will give you an Elixer for FREE! 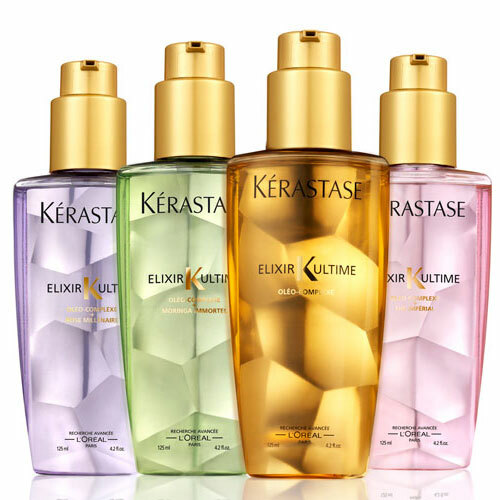 With the rise in popularity of hair oils, Kerastase has created 4 of the best on the market! Elixirs deliver ultimate shine, deep conditioning and nourishment. They add softness, strength, and smoothness, Help to restore strength to the hair and protect it from external aggressors. A blend of four precious scented oils that work for all hair types. Sunday May 11th is Mother’s Day. Aru Gift Cards.. The Perfect Mother’s Day Gift! 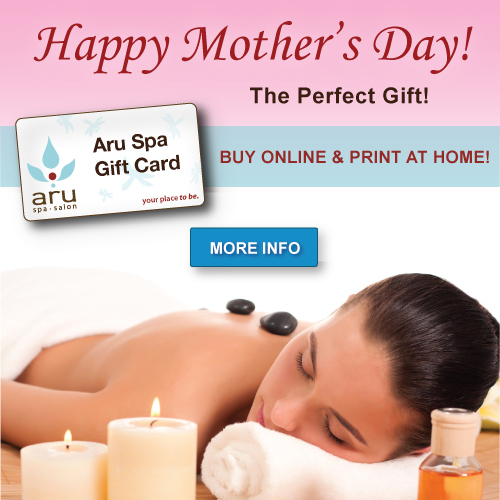 Aru Gift Cards Make the perfect Mother’s Day Gift! This year show Mom your love with the gift of total relaxation and pampering! Our Moms spend all of their time tending to our needs and often at the expense of their own sanity. Give Mom the greatest gift and one that she truly deserves… luxurious pampering with an Aru Spa and Salon Gift Card! Massage, Facials, Manicures, pedicures and more! We have a variety of Mother’s Day Gift Baskets beautifully wrapped and ready to give! 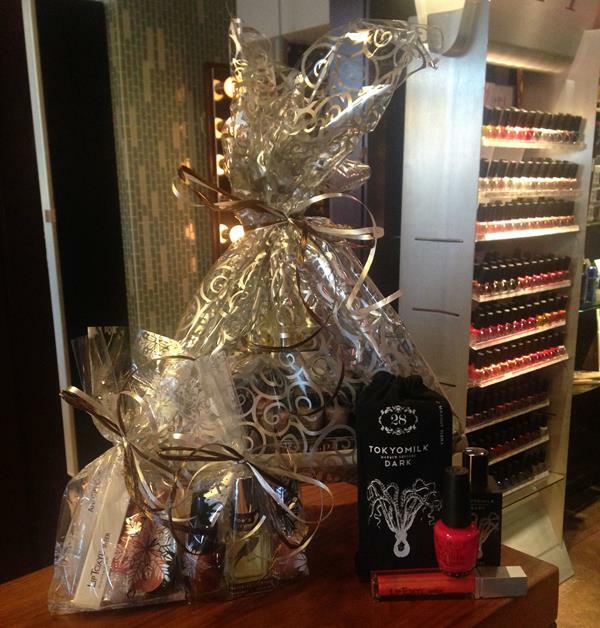 Nail Polish, hand cream, lip gloss, blush, perfume, and a selection of other great gifts! Choose the Gift Basket that best suits your needs or we can customize a special basket, just for your Mom! Our Baskets are packaged with savings of up to $50! See us in-store for yours. Get Free Paraffin Therapy with our Signature Peducure! Spring is here! It’s time to kick off those boots and bring out all of our cute open-toed shoes! Ready your feet with an Aru Signature Pedicure and we will include a Free Paraffin Foot Soak! Nothing makes your feet softer and smoother than parafin! *This offer is valid until May 31, 2014. Join Mom in our Spa for side-by-side Relax and Unwind Spa Packages! Enjoy our relaxing Signature Facial using the latest in botanical antioxidant skincare science followed by our Signature Pedicure. A true spa Pedicure beginning with an aromatic foot soak, followed by nail care, foot exfoliation, lower leg & arm massage, and polish application. With Mothers Day right around the corner, many of us are searching for the perfect gift. One gift that will truly show Mom how much we care is a day at the Spa! Mothers day spa gift certificates and spa packages are always a highly appreciated gift. Our Mom’s all spend so much time tending to everyone else’s needs that she often neglects her own quality time. This year Aru Spa and Salon has put together some great Mothers Day Spa Packages and gift baskets complete with a Mothers Day Gift Card inside! This year choose from a variety of Gift Baskets for Mothers Day. Incudes: 1 – Gift Card for 75$ ~ Signature Pedicure. 1 – 4 pack of mini nail polish oz collection. 1 – OPI hand cream. 1 – OPI nail polish remover. Includes: 1 – Gift Card for 70$ ~ Signature Manicure. 1 – 4 Pack of OPI mini nail polish Oz collection. 1 – Tokyo Milk Hand Cream. 1 – Chi Cuticle Oil Retail. 1 – Coral Sun Blush. 1 – Super Strawberry Gloss. 1 – Lip toxyl – Diva. 1 – OPI nail polish Suzi & the life guard. 1 – OPI nail polish Mauving to Manitoba. 1 – Natural Wheat Germ Soap. 1 – Tokyo Milk Perfume Poes Tobacco. 1 – Super Nectar Gloss. 1 – Tokyo Milk Alice in Wonderland Mirror. 1 – Tokyo milk Arsenic Hand cream. We can also customize a gift basket to meet your Mom’s specific needs. Give us a call and we will out together the perfect Mothers Day Spa Gift Basket for you! We also have our popular spa gift cards available for purchase. Our gift cards are available in cash denominations and come beautifully wrapped and ready to give. Treat Mom to a spa gift certificate and let her decide from our Spa Packages, Pedicures, Facials, Massages, Manicures and more. Our Mothers Day Spa Gift Certificates are guaranteed to please Mom with some great quiet time! Just south of Vancouver, British Columbia, and only ten minutes from the US and Canadian border, White Rock, British Columbia is a wonderful getaway for a day trip or a longer stay. Beautiful beaches, boutiques and golf courses are only part of the attraction of this friendly community. For visitors coming to unwind from their hectic schedules one of the most popular ways to relax is to visit one of the premier White Rock spas. White Rock Spas – Choose the best! With the wide selection and excellent quality of the White Rock Spas, the hardest decision may be which spas to visit. Many offer services for both men and women and even families. Spa parties and wedding packages are a popular way to relax with friends and loved ones and prepare for a special occasion.One of the key elements to the spas in White Rock is the perfect massage. Look for a Surrey spa that offers a variety of massage techniques, warm or hot stone, deep tissue and relaxation. Don’t be afraid to experiment to find the most rejuvenating and calming balance. The best spas also offer the services of a registered massage therapist to help with specific issues. The spas in White Rock are dedicated to the health and well being of the whole body as well as the spirit. They often offer manicures and pedicures. Rejuvenating facials are indispensible to keep the skin healthy and vibrant, and can even turn back the hands of time. Many spas have multiple types of treatments, care customized to skin type and facial peels that help guests look and feel their best inside and out.Some spas choose to incorporate the best features of a spa and a salon for a truly one of a kind experience. The standout of all White Rock spas is, Aru Spa and Salon. Aru is founded on the eastern philosophies of harmony and balance. Aru (meaning ‘to be’ or ‘live’) combines a full spa for relaxation and rejuvenation with a complete salon service to provide guests with full care for body and spirit. No matter how long the stay, a visit to get away from it all in White Rock is never quite complete without stopping by and relaxing at one of the quality White Rock spas. Spas in Surrey BC – Choose the Best! With so many spas in Surrey BC to choose from, how do you decide on which one to try? Whether on vacation or local to the area, Spas in Surrey BC can give you a relaxing experience if you choose the right one. Aru Spa and Salon has been voted the best Spa in Surrey BC for 5 years. This is an important factor that should be considered. Aru is know for its beautiful facility but more importantly their attention to cleanliness! Aru employs only licensed staff members so you know you are in the hands of a trained professional. Various spas in Surrey BC offer an array of services designed to fulfill personal health and beauty needs. Some fall short in their offering. At Aru your will have access to private lockers, showers, steam rooms, relaxation lounge, tea, fruit and many other little touches to ensure your experience is truly luxurious. Sometimes feeling good is also about looking good. Aru Spa and Salon offers more than just spa services. They also provide make-up and hair treatments to further the spa experience. A complete spa day or a head to toe makeover can be just what you need for a lasting impression. It’s no wonder they are considered one of the best spas in Surrey BC. On top of being one of the best spas in Surrey BC, Aru was also voted best Massage White Rock. Aru has separate men’s and women’s steam rooms and they are free to use with every spa service. It is recommended that you arrive for your massage 30 minutes early to use their steam room and showers. It will really loosen your muscles prior to your massage. They also have a gorgeous relaxation lounge that is so comfortable to lay back in after your massage is over. All of these little extras really make Aru one of the best spas in Surrey BC! Full body massages are the most common services provided. Massages are popular because of the therapeutic nature and immediate state of relaxation and rejuvenation. Registered Massage therapy treatments by licensed professionals, target specified areas where stress builds up and relieves the tension from daily life. These services are often covered by extended Medical under RMT or Registered Massage Therapy. Combining an assortment of spa treatments in a professional spa environment like Aru’s is guaranteed to be a long-lasting experience. 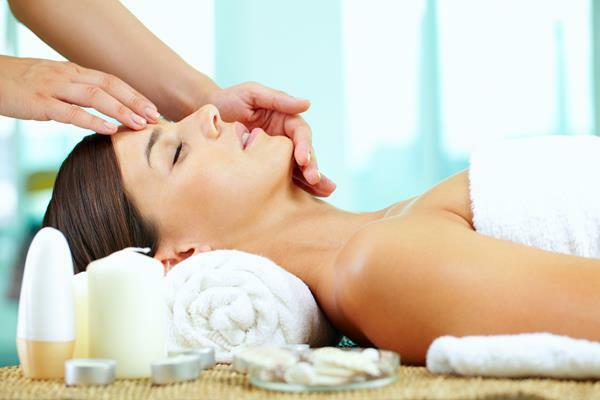 Professional spas in Surrey BC should provide a tranquil environment,. You should be left with a refreshing personal experience that has lasting effect on your spiritual and physical health. Spa treatments are meaningless if the staff and service isn’t professional and courteous to your personal needs right from the second you walk in. You can be certain that the staff at Aru Spa and Salon is focused on the comfort and pleasure of your full spa experience. Aru’s employees are friendly and professional, ready to pamper and provide your day of relaxation. That is what you deserve and should expect from one of the best spas in Surrey British Columbia, Aru Spa and Salon! Surrey Spas – Which is the best? It is very important to consider a few key factors. Is sanitization a top priority for the spa? Are all therapists licensed? How is their health board record? Is the spa designed in a way that provides a relaxing environment? Do they provide all of the amenities that we expect from a great spa? Do the have a steam room, showers, lockers, products to use with your visit, etc.. Does the spa provide a high level of service every time? Well after much research, (and yes I did have to visit many spas, multiple times… rough job) I can tell you that I found my stand out favourite out of all Surrey Spas. After Visiting Aru Spa and Salon on multiple occasions, I was consistently pleased with the entire visit each and every time. The design is immaculate, the place is kept very clean and after grilling my therapists throughout my services, I can tell yo that their sanitation practices are top notch. Most of all their staff was very professional and extremely helpful anytime I asked questions. I would highly recommend that you consider giving them a try. Aru Spa and Salon is in South Surrey on 152nd street near 20th Avenue. The best Surrey spas are the perfect place for a relaxing getaway. When you visit a great Surrey spa, you will be treated to the best massages, as well as a variety of other quality services such as facials, manicures, pedicures, hair removal, and tanning. You can choose to indulge in one of these services or make a full day of it. Massage packages are highly recommended as a supreme form of relaxation. 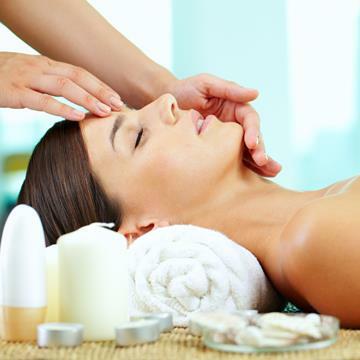 Just allow the experts at your favourite Surrey spa, massage away your tension as you relax under their expert hands. Aru Spa and Salon in Surrey is a great getaway location for spa parties and weddings. Whether it is a girls’ night, a mother daughter weekend, or a special occasion, the talented experts at this Surrey spa will take care of your every need. Get a relaxing manicure and pedicure with your mom for Mother’s Day! Gather up the ladies for a spa weekend for a special massage and facials as an alternative to a bachelorette party. Lose yourself in a variety of relaxing services before your wedding. The professionals at Aru Spa and Salon will take all the stress away by creating that perfect look for your special day. Aru also specializes in hair styling and coloring, as well as hair extensions and hair cuts. The salon professionals at Aru will make your hair look brilliant – better than you’ve ever expected. They can cut and color your hair, or style it for any special occasion, all while you relax in picturesque and peaceful surroundings. You can also plan a romantic spa weekend in their Surrey spa with your significant other. Relax with side-by-side couples massages. Pamper yourselves with spa treatments for him and her, then continue your vacation at a nearby hotel. If your partner would rather relax by playing golf, treat yourself to a spa day while he plays a few rounds. All of the spa services are performed with the utmost care and attention. Each professional working at the spa is licensed and trained to provide you with the best service available. From makeup artists to nail technicians, massage therapists to hair removal specialists, look no further to find the highest quality professionals of any spa. Whether you’re looking for a relaxing solo experience, a party with friends, or a getaway with someone you love, Try my favourite out of all Surrey spas, Aru Spa and Salon. Book your preferred services today. Don’t wait! Treat yourself today! Aru Spa and Salon has been voted best massage in Surrey for 5 years! How many times have you been frustrated with your hair? If you are like the average woman, you wish you could do something different with your hair, such as make it fuller or longer. While changing your hair color is easy, it is harder to change the length or fullness of your hair without waiting for it to grow naturally. That is why Vancouver salons now offer a variety of Vancouver hair extension services that will not only change your hairstyle, but your life in the process. Depending on your budget and the type of style you are searching for, there are plenty of hair extensions Vancouver shops that will cater to your needs. While celebrities made hair extensions popular – think of Jessica Simpson, Paris Hilton and Britney Spears – you don’t need to be a millionaire to change your look. You can choose between natural and synthetic hair pieces to complete renovate your look, all in the comfort of different Vancouver salons. You can walk out of a hair salon looking and feeling more confident, all because you changed your style with hair extensions. If you have never used extensions before, the process is fast and easy. Simply tell the stylist what look you are looking for, whether it is longer hair or a fuller style, and she will match the appropriate hair extensions to your hair color. Want to change your color as well? That is no problem as you can have the extensions dyed to match your desired hue. Based on how many hair extensions you are using, the process can take from one hour to several hours, as a qualified stylist carefully but firmly inserts the extensions. When the process is finished, your hair will look so naturally long and full that nobody will be able to tell that your little secret! Vancouver salons offer some of the best hair extensions in the world, so choosing Vancouver hair extensions will prove to be a smart choice. Before you start searching Vancouver hair salons for you choice of Vancouver hair extensions you will need to decide the type of style you hope to achieve. You can do this by looking online or through magazines to see what styles are available. Bring your favorite photos to the salon and in just a few hours, you will walk out with the hair you have always wanted, but did not know you could have. Whether you are a visitor, or a local, seeking to find an excellent white rock spa or white rock massage, you are in luck. There is a plethora white rock spas that offer some of the most pampering and luxurious experiences to be had. Most white rock spas offer a variety of salon services, such as manicures, hair coloring, and cuts, in addition to stimulating massages and spa packages. Each establishment in White Rock,has to live up to certain standards, and you can rest assured, that you will find one here that is perfect for your needs. Finding a white rock massage service to ease away those aching muscles, will be no problem, and many spas offer various styles of massages, including traditional Thai, deep tissue, or RMT massages. Some spas even offer reflexology treatments, hot stone therapy, and herbal compresses to provide even greater benefits. Facials are a common request in white rock spas, due to the drying properties of the air here, and rest assured, that there is no shortage of options in the realm of facials. Rejuvenating, re-mineralization, and mini-facials can bring skin back to life, and customized facials can be created for skin with multiple, or more complex issues. Although there are many fantastic choices in the area when it comes to selecting a white rock spa, my absolute favorite is the Aru Spa and Salon, on 152nd Street. The Aru Spa and Salon offers a heavenly day spa package that offers a host of services, including rose petal adorned soaks in their traditional Japanese bath. Their wall-to-wall ceramic bath is decorated with lovely mosaic patterns, gently lit by soft candlelight. Aru Spa and Salon is open on Sundays, which is unusual for a spa or white rock massage business. This establishment also offers special discounts and prices at various times throughout the year, which is a nice benefit. Valet parking is also included with any of the services there, and a delicious lunch can be ordered to accompany your white rock spa package. This white rock spa is a gem for those who desire couples treatments, where they can relax together. Whether you simply want to have a few peaceful hours receiving some pampering, or if you require utilitarian services such as, highlights, hair removal, nail services, lash tinting, or brow shaping, you are in luck. White rock spas are some of the best in the area, and all of your relaxation desires and beauty needs can be fulfilled here.